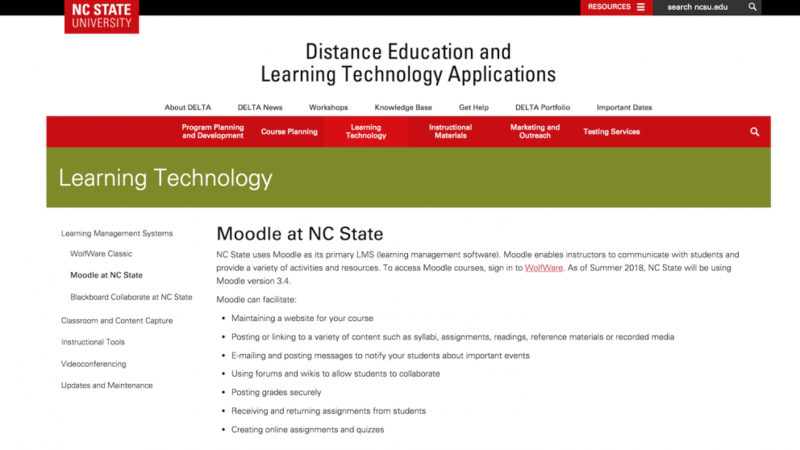 NC State will soon perform the annual upgrade of Moodle, to Moodle 3.4, for courses starting Summer of 2018 and beyond. While most of the functionality is the same, there are a number of changes, plugins added and feature requests implemented in order to improve the user experience. Details of the changes are below. You can attend a What’s New in Moodle workshop if you’d like to see the changes in action. From the Moodle Dashboard, both the student and instructor perspective has improved. You are now able to see what items are due (or overdue, etc.) at a quick glance by checking the Timeline tab. You can also sort by dates or courses under this Timeline tab so that all items can be viewed at once, per course. In Moodle 3.2, many of the icons are a light gray color. In Moodle 3.4, these icons are now a darker black color and much easier to see. Prior to the new upgrade, all things related to the participants were located in the People block under Participants. This Participants page is now a link on the left-hand side of the Moodle page and has more options within this page. In Moodle 3.4, you can use the Participants page to enroll, search, filter and bulk edit or delete participants from a single screen. When you create, edit or delete events in Calendar, the event displays in a pop-up window. In addition, you can easily drag and drop events to a different date or month within the Moodle calendar. For an activity event, such as an assignment or discussion forum, the dates will reflect the change when you drag to a different date on the calendar. The new feature “Save and show next” has been added for assignment grading. This allows you to advance to the next submitted assignment, after grading the current assignment. This feature makes grading easier without having to click multiple buttons. This feature allows students to track their progress in a course and keeps both students and teachers in the loop for students’ progress through a course. With this feature, you can set when and how students meet the completion criteria. In Moodle 3.2, if you need to change the completion criteria for multiple activities (i.e. reading assignments, discussion forums, etc.) the criteria can only be changed in each individual activity setting. However, with Moodle 3.4, you can now change and edit the criteria in bulk, with the tab Bulk edit completion criteria. Top Hat now integrates with Moodle! This integration allows you to easily sync your roster and student grades from Top Hat to Moodle. To learn more about this process, please see visit this support article. H5P is a platform for creating and sharing interactive HTML5 educational content. As a Moodle plugin, it is a fantastic resource for professors to be able to easily create their own engaging interactive content and incorporate it into their courses without needing to learn to code. Look for an upcoming DELTA workshop showcasing this plugin! The Download Essay Submission plugin offers users a convenient way for instructors to download quiz essay attachments submitted by students in response to quiz essay questions. Through this feature, instructors will be able to download/save all attachments of all attempts submitted by students in response to the quiz essay questions at one time. 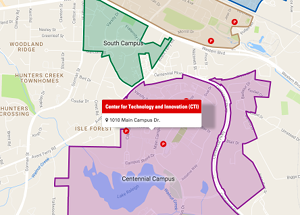 We removed the People block from the course home page. You can still manually add this tool block to your home page; but by default, this tool block will not automatically be added to the course. As mentioned above, this block is combined with the Participants page. Embedded answer (Cloze) questions can be a very useful question type by using syntax to embed multiple choices, short answers and numerical answers in one single question. However, it can be complicated due to writing syntax. The new Atto Editor plugin provides a user-friendly, pop-up window that lets users embed available question types, and write answers and feedback without having to memorize the Cloze syntax. This activity allows students to enroll themselves in a group within a course. In order for students to choose groups, instructors will have to create groups within the course first. Instructors can also limit the maximum number of students allowed in each group. This tool can be used to give students the freedom of choosing subjects based on their interests for a project and includes a variety of topics.